Plan and prepare. It’s important to approach revision like getting ready for a marathon – you have to give it some thought and respect, and be ready to put in the leg work. Although a tiny minority of people manage to amble up to the start line and complete the course without training, it’s an ill-advised and risky approach. There are no short-cuts when revising. Research shows that effective revision involves students spreading out their preparation over time and testing themselves regularly. It’s all about positive can-do attitudes, good habits and structured preparation – but, like running, it can be a lonely experience without some nudges, encouragement and guidance. To help students get exam-fit for the tougher new GCSE exams, then, Scholastic has pooled together the expertise at its fingertips, to produce a new revision and practice series, including pedigree revision guides, exam practice books and a free app. For starters, the content is tailored to the latest exam board specifications for English, maths, biology and chemistry, so you know what’s written fits the bill. Both the exam practice and revision guide resources focus on active revision practice with carefully worked content, purposeful advice and plenty of structure. They follow a quirky and intelligent ‘Do It, Nail It, Snap It, Stretch It and Work It’ approach to help them make the grade. Students need no-nonsense, targeted subject support to inject them with confidence and inspire them so they don’t press the panic button. The £6.99 exam practice books are packed with professional looking exam questions, activities, revision tips, exam papers and answers. These come with ‘exam marker’ comments and opportunities for students to showcase how they can refine, improve and polish exam responses. 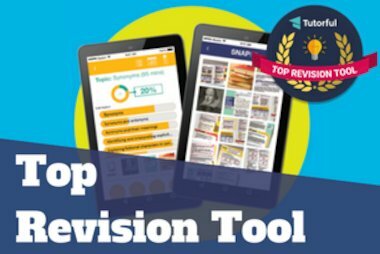 The £8.99 revision guides go more in-depth, and focus on what students need to know, how they can improve and what to look out for. They help students get exam-savvy by unpacking and dissecting what’s what and what’s not, breaking content into manageable chunks with plenty of tools for preparing with poise. Whilst the content in the resources is ‘whizzy’ and based on speedy and quick ‘what you need to know’ key facts, there is also plenty of detailed help to pause, consider and reflect on. 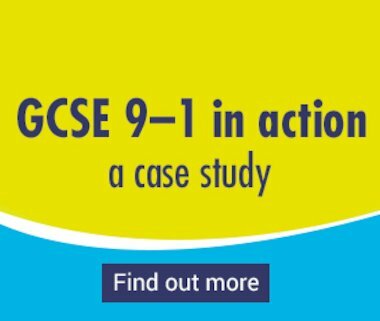 Mixed with step-by-step support and practice questions, the revision guides work incredibly hard to support students embed their learning so that it sinks in and sticks. Glossary and answers are included too. What makes a good set of revision resources? They have to be relevant, content strong, comprehensive, accessible, unpatronising, eye-catching, engaging and innovative – Scholastic’s offer ticks these boxes. They are also motivating, focused, active and serve as tools for revision, not crutches, that focus on independence and foster confidence with self-belief – ticks again. Students and smartphones go hand in hand, which is why Scholastic hasn’t been slow to spot the potential of an app for ‘on the go’ revision containing revision planners, multiple-choice quizzes and revision cards. It includes a snazzy ‘Snap it!’ feature to photograph important points so students can create their own prompts and also has examiner tips with plenty of support for the more challenging aspects. The app enables students to devote extra time and training; they can manage their revision wherever they are using an exam calendar with an overview feature to track progress and flag up thorny topics. Scholastic realises the importance of going the extra mile and the company knows what added value looks like; so if you go online you’ll find lots more extra content. 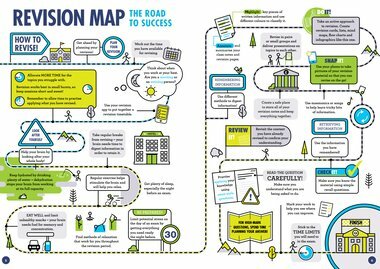 Schools can sign-up for a free revision guide (T&Cs apply), there’s a free guide to the new GCSEs that parents (and students) will find more than useful along with a free revision poster and recommended resources for parents and students. Further free exam practice and content is also on the way. Revising can feel huge and overwhelming but helping students focus on distributed practice and doing lots of small things really well will help them achieve success. Scholastic has produced a fine set of GCSE revision guides to do exactly this. The three strands of revision attack will work most effectively when put together; take one of these resources and students can get so far, but combine the trio, and the results are likely to be quite remarkable. These fresh, practical resources weave together actionable advice, quality content, worked examples and lots of quick wins – for successful results.